Annual Conference Website Experiences Major Revitalization. 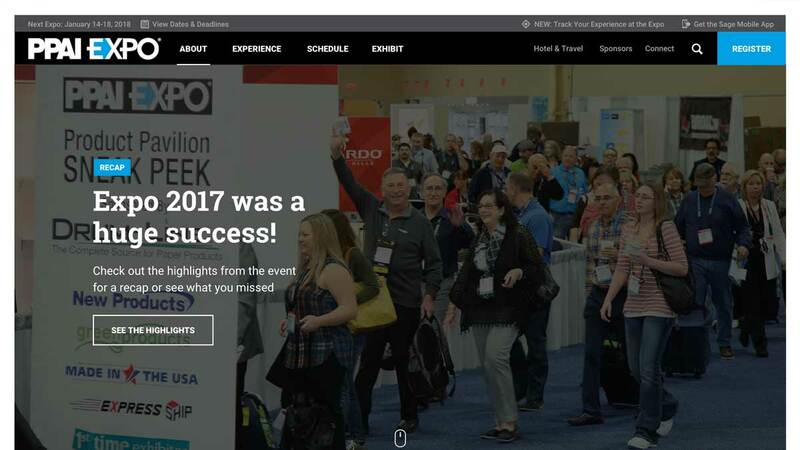 To establish a world class user experience based upon similar event websites such as sxsw.com to allow users to easily find, navigate and select events for the annual PPAI expo conference and interact with the brand and mobile application. We worked with the internal PPAI team on our 3rd project with the brand to create a world class event management system to compete with some of the best in the industry such as sxsw.com and help increase their user engagement and retention using the web application which has been a smashing success and a fun project working with one of our favorite clients.